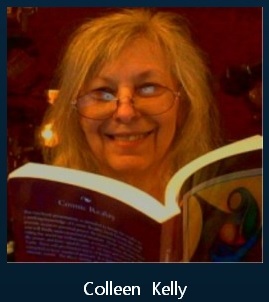 Cosmic Reality is being read on Wolf Spirit Radio by Colleen Kelly on her show Hagghatha Read's For You. You can download the various installments under "HRFY Cosmic Reality Book" by subscribing to the WSR Archives. - October 22, 2013: First radio interview with Jay Pee talking about the book COSMIC REALITY. YouTube link. To provide all of the radio show archives from various shows we are putting together weekly archives beginning the week of August 20, 2016. - Flag for Twodog - Native Americans fighting pipelines in North Dakota to protect our water. - Live Again: Colleen Kelly who is the producer for most of our shows (HaggieShack Radio) was out of action due to an awful bout with shingles for almost 4 weeks. This post was the rebirth of live programing. Because we have other shows, at this time we will be presenting all of the shows by the week. July 31, 2016 "Reality InSight"
Although not a "Cosmic Reality Radio Show" we ended up discussing what was covered in the book regarding a past lifetime in Tombstone, Arizona. The show starts with an overview of information regarding the Inner Earth civilization commonly referred to as Agartha. Nancy relates a story of visiting the Inner Earth in a past incarnation. That led to a discussion of reincarnation of a "soul group". Terran's blog the American Kabuki introduced him to the Sphere Alliance. He was on 5 hours of live radio on Saturday and we took a look at what he said. We talked about how things Terran was presenting confirmed things we were doing. Tolec related events leading to his working with the Andromeda Council, provided a summary of the Draconian demise, and a story on a crashing UFO. The Mandela Effect was discussed in the second hour. Walt Silva was powerless so Nancy and Colleen talked about the European turmoil and Jay Pee joined to give his view from Scotland. Subjects covered: Brexit, Common Market, European Union, how restriction strangles economies, Ben Fullord, President of the EU Commission Jean-Claude Juncker says ET's are concerned, how the Bankers got the United States, Jay Pee joined us and talked about the number 23 and how to not organize. The show begins with Walt explaining Loosh to be the energy emitted whenever human emotions turn into negative vibrations such as fear and hate. He tells us why he believes Gaia has transformed Loosh into Love. How to tell fake from real Shungite. Thermography demonstrating extreme dangers of cell phones and how Shungite is shown to mitigate the dangers. Guest Deb Riel talks about color therapy and does a reading on Walt. He in turn determined Deb's Human Design. Though now retired, Deb was a professional Intuitive Reader who used color as her main tool to tune into people and their paths. She first worked as a 'Color Reader' in Sedona, AZ and then at a popular Five Diamond Spa & Resort in Southern California where she also gave classes on how color communicates to us and about us. Deb is also an Astrologer & Reiki Master and has been interviewed often on TV and Radio. The discussion started with discussing the Jinn. Nora explains how the Jinn are conceived of by the Saudi Arabians. A lucid dream brought Nora to another attitude toward the Jinn - one that Walt and Nancy also have. Are the Jinn really evil or good or are they both. And how do you control them? And how do you free them? In the second part Walt discussed Nora's Human Design and Nora expands on what that translates in her own experiences. We were continuing with the Rules of Cosmic Reality and got stuck on Rule #9 "The goal of living is to tap into the conscious mind of the soul." Seemed simple enough, until Walt started talking. If you just want to wander into the concepts of consciousness, mind and spirit, this is a show you will enjoy. Walt and Nancy discuss the first 8 Rules of Cosmic Reality. Walt had a lucid dream where a weapon in the form of a black cube came to our attention. The dream led us back to Mecca and the Arch of Gabriel, which had been taken to Antarctica. That led to discovering Russian Orthodox Church, Patriarch Kirill arrived in Antarctica to perform an ancient ritual from a secret text given by Pope Francis just 4 days after the two met in Cuba. The Watchers and Jean Rockefeller came into the story. This is a very important story. Solaris BlueRaven gives an overview of her experiences of being introduced to mind control, artificial telepathy and maybe much more. Walt provided Solaris with information confirming her experiences and deeper understanding of how this is all accomplished. Guest Sherinata does a reading on Walt, demonstrating only one thing she does. Also discussed is Sherinata's Shungite experiences. Guest Jean Rockefeller, Mona Radler and Dolly Howard discussing changing reality. What do we do next? ​Talking Shungite and Fullerenes and AIDS; Benjamin Fulford and French murders; BLACK KNIGHT DECODED: A Pepsi Production; control with artificial telepathy, fluoride and other means and how Shungite levels the playing field; salt rooms/caves; kids and Shungite. Guest Stephanie Dietz. Walt discussed pyramids and his new research product into creating monoatomic (white) gold and seeing what happens when Shungite powder is introduced. Movie Tomorrowland is discussed as a metaphysical message. Russian Pyramids, DNA and the Second Language, Psychedelics good for us, GMO, Etheric world for remote viewing, shamanic journeys and psychedelics. The Archon problem was discussed and then it was decided what to do about it. Walt carries on a brilliant discussion of reality and the possibility it is a computer simulation. The discussion of consciousness turned to how hallucinogenics change reality. Jean Rockefeller related her experiences while visiting Washington, D.C. Her meeting up with George Washington led to a discussion of the American Revolution and the Founding Fathers. Jean also relates her experiences that confirm the stories revolving around the Super Soldier. And then we find out what Walt has to do with Super Soldiers. Extra 1/2 hour of show had a call in by someone who might be getting his real memory back. Jean Rockefeller was on running energy and providing insight into recent activities by the Watchers. Also discussed was the subject of an energy universe and why science is agreeing with us. Inelia Benz has an incredibly important discussion of manifestation. Both the transcript and MP3 is available. Black Goo was the focus. Also discussed Morgellons Disease. DUE TO TECHNICAL PROBLEMS THE AUDIO ARCHIVE IS NOT POSTED. WE ARE HOPING IT CAN BE RETRIEVED FOR A FUTURE POSTING. NOTES AND LINKS FOR THE SHOW ARE AVAILABLE. Jean Rockefeller joined us to relate the most recent post by the Watchers. Edward T. Haslam : Dr. Mary's Monkey and the cancer epidemic link to polio vaccinations.Why are alternative doctors being murdered? More on the Star Trek Universe. We covered the Greek Debt Crisis and the International Banking System that is only smoke and mirrors. Healing Tones were introduced. - November 25, 2014: Consciousness and the scientific explanation as to why reality is what we think it is. CLICK. April 25, 2014: Resurrection of Jesus and the Shroud of Turin, the John Kennedy-Jesus Christ Connection, the Assassination" CLICK.